"A Place Where We All Belong"
Homesteads for Hope was created to help build a future for autistic and other special needs teens and young adults, needing special attention to help them live a full life. Brongo’s younger brother is autistic and she has lived with the problems of finding assistance for caregivers and their charges. With an idea for a community farming environment, Brongo and her followers have made strides toward the dream. 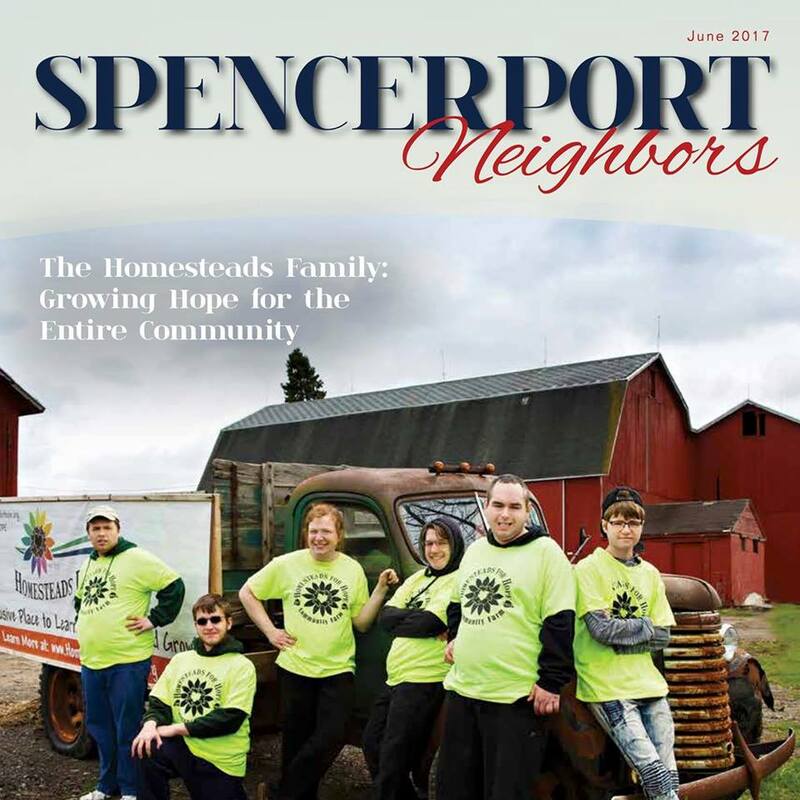 The Kiwanis Club of Greece recently heard from Jenny Brongo, co-founder of Homesteads for Hope, to learn about the nonprofit community farm that serves as a place to learn, work, live and grow for people of all abilities in Greater Rochester. H4H was founded in May 2013 by Brongo and her mother, Luann. It promotes skills training, socialization, self-awareness and career exploration on an organically practiced farm. As the demand for self-directed and inclusive community services continues to rise, particularly for young adults, H4H will provide high quality services to people of all abilities. Luann Brown dreamed of a place like Homesteads while raising her son, Charles “Chucky” Brongo, who was diagnosed with autism during a time when services for children with autism were far and few between. When Chucky’s behaviors turned self-injurious during his teenage years, Luann Brown could not find anyone to help her son. At last, the family had no choice but to move Chucky to an out-of-state facility where he then lived for 3 and a half years during which the family struggled to visit each month and connect with him daily. Homesteads for Hope is a non-profit community farm that gives people of all abilities a chance to work, live and grow. Jenny Brongo and her mom founded the organization in 2013 as they cared for Chucky, Jenny's brother, who has autism. Five years later, Homesteads for Hope continues to grow, soon offering more classes, a general store and even places to live. Ashley Doerzbacher visited the farm on Manitou Road this morning to show us what's going on. At a scenic pumpkin patch just outside Rochester, members of the community, from families with kids looking for the perfect Jack-O-Lantern to a local pig farmer stocking up on feed for the winter, are happy the Forever Homestead is showing signs of life. Their mission is to help as many people as possible and to build a community farm so that people of all abilities can plant, sow, learn and work together. Representatives at Homesteads for Hope, a nonprofit working with those with intellectual disabilities, called the state Department of Environmental Conservation from the organization's Ogden location Tuesday about an owl hanging from a tree by its wing near the Erie Canal. Inspired by her family’s struggle with autism, Jennyrae Brongo conceives a farming-based residential community for people with special needs. 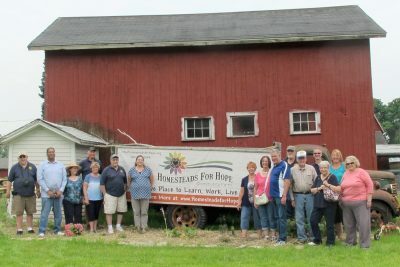 The Organization is currently leasing Robert Brongo’s 55-acre farm, located on Manitou Road along the Erie Canal, for Homesteads for Hope, a non-profit community farm. The power of Jennyrae Brongo is that she is the sibling, not the parent. She has a different perspective that stands apart from us that are raising our children. Her energy and her perseverance amazes me. Guaranteed Rate, one of the ten largest retail mortgage lenders in the U.S., announced the six finalist projects in its first annual “Ultimate Neighborhood Give Back Challenge,” a nationwide search for people and organizations who are leading projects that make meaningful impacts in their communities. The company is giving away $100,000 plus home improvement expert Ty Pennington’s help for a day to the best community improvement projects that were submitted through the Challenge’s Facebook app. 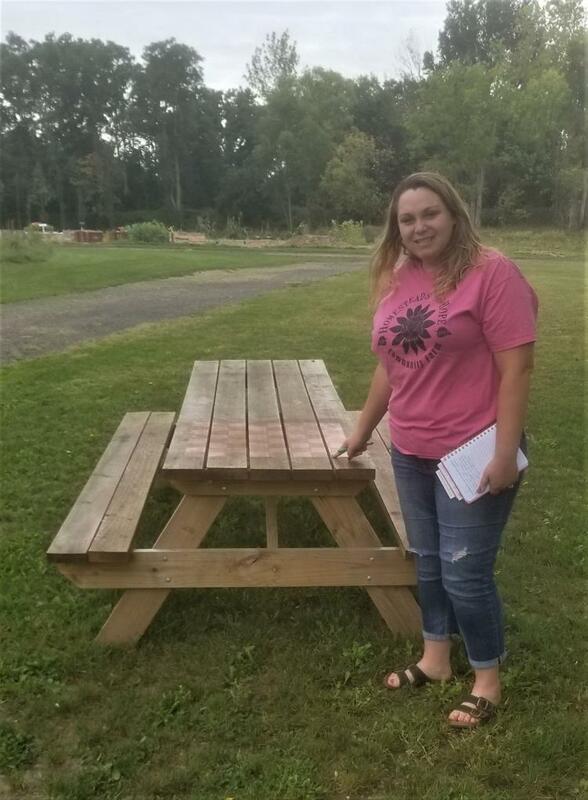 Brongo is hoping the future of her business includes training a workforce that will help create homes and environments for special needs individuals, another population served by BOCES 2.